Spreading awareness about Haldhar Nag. Samples of translation work. 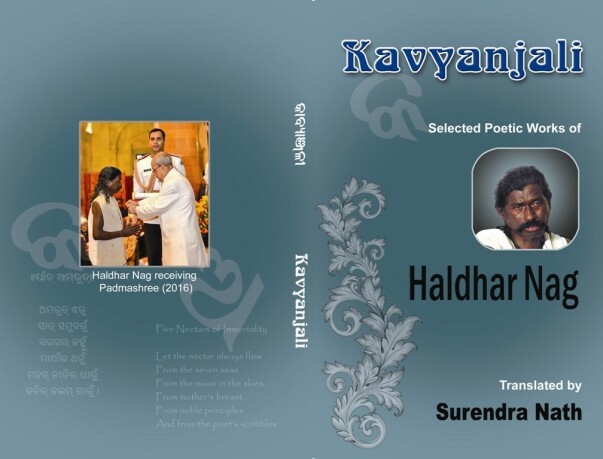 Hello there, I am Surendra Nath, who has started this project to translate all the works of Padma Shri Haldhar Nag into English. This project is NOT FOR MY BENEFIT, but in support of Mr. Haldhar Nag. I saw him being interviewed on the TV and was impressed with his down-to-earth talk. 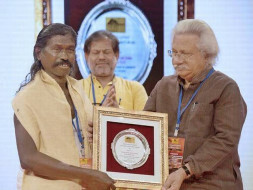 He is a poet, who rose to recognition when he received the Padma Shree Award (the fourth highest decoration in India), in the field of literature on Republic Day of 2016. I visited him in his village-home and returned with mixed feelings of gratitude, humility and sadness at seeing his living condition. Don’t get me wrong, he is not rueing his misfortune, indeed a man more content than he, I am yet to find. He is very happy with what god has given him and welcomed me warmly to his cottage. The cottage or house, whatever we may choose to call it, has been built with grant from Indira Awaas Yojana (PMGAY). We sat in a room that could only accommodate one cot and two chairs, tight-fit. He showed me his other little room with great pleasure, for it was filled with awards and certificates he has received. 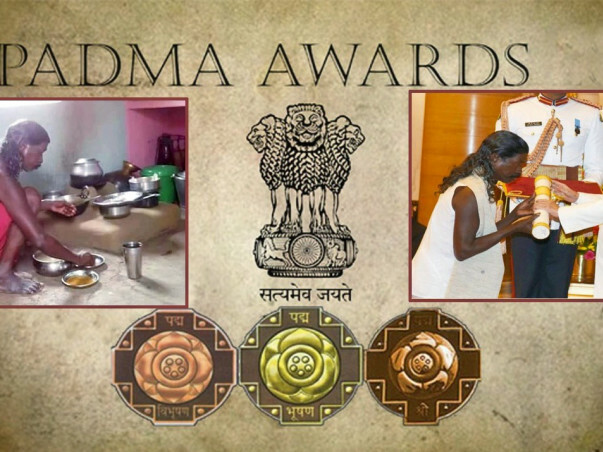 Alas, the awards are mostly stacked on the floor, some kept upon a steel trunk, and one of them is the Padma Shree! 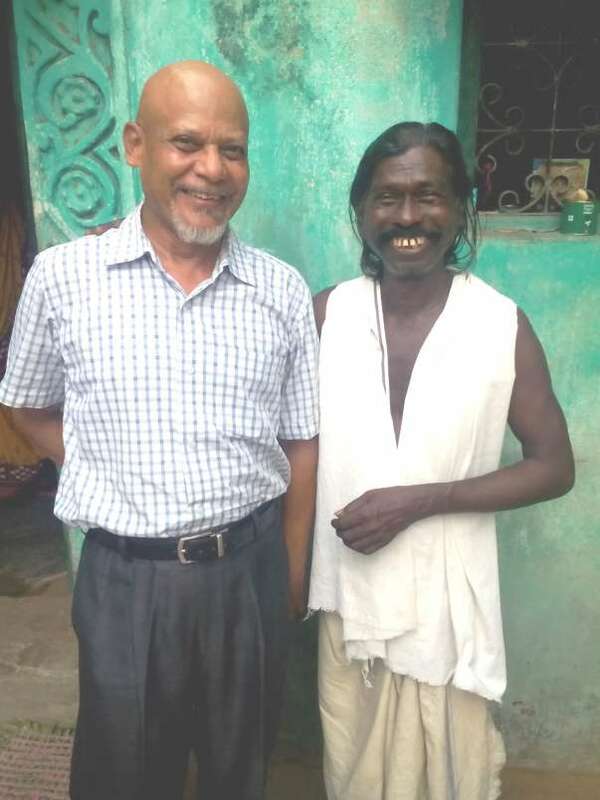 At 66 he is hale and hearty, for he is a villager who earns his bread through hard work. For him it doesn’t matter that he lives hand to mouth. (Padma awards carry no cash prize.) 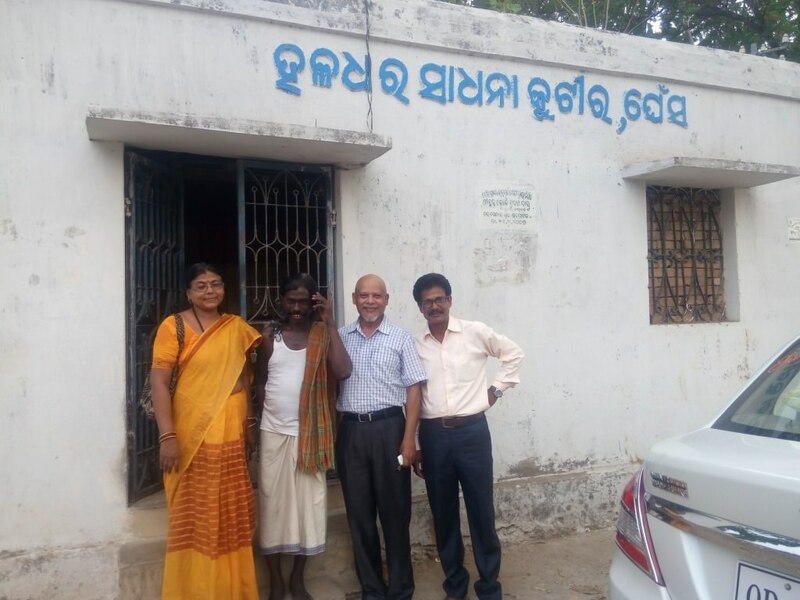 Haldhar Nag is a paragon of simplicity and of contentment. He has studied only up to class 3. In the 50’s that’s how much education poor folks could get before starting to labour on someone else’s field. He has been writing poems ever since he attained youth, and must have written about a thousand poems, and knows by heart every single one of them; what a colossal memory! 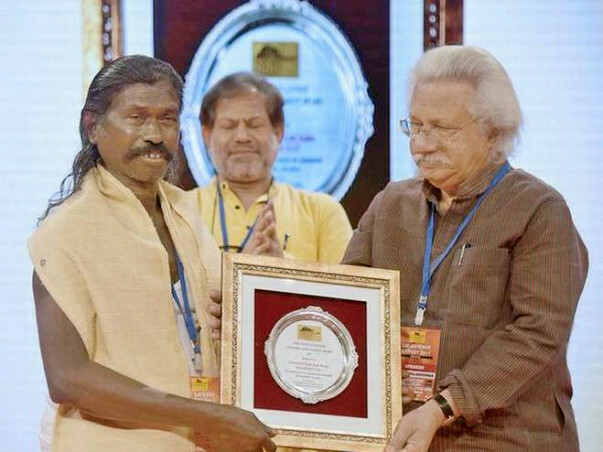 He writes in the Koshali language (also called Sambalpuri language) that lies unrecognised in the directory of unofficial dialects. THE WORLD of ARTS & LITERATURE WILL BENEFIT: All his work would lie unknown to the rest of the world, unless someone translated them into languages that are more widespread. I decided to translate them into English and publish a book. This will help his work reach millions of readers worldwide. Your contribution will help spread the good work of this man. It will also help spread awareness about the relatively lesser known language called Koshali-Sambalpuri. Two volumes - KAVYANJALI VOL. 1 and Vol. 2 have already been translated and published, thanks to help from donors like you. You may see them on Amazon pages. The third volume is halfway through and will be released in January 2019. 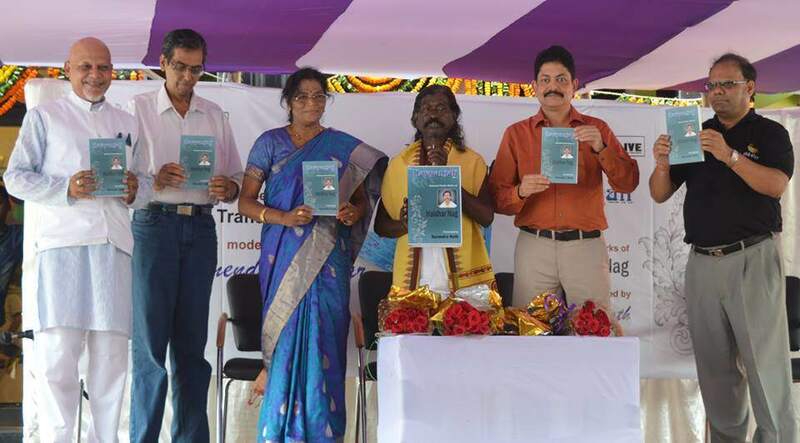 This is an ongoing project, and we are not going to stop until all works of Shri Nag are translated and published. I am not charging any money for this work, nor am I hoping to make any profit from it. 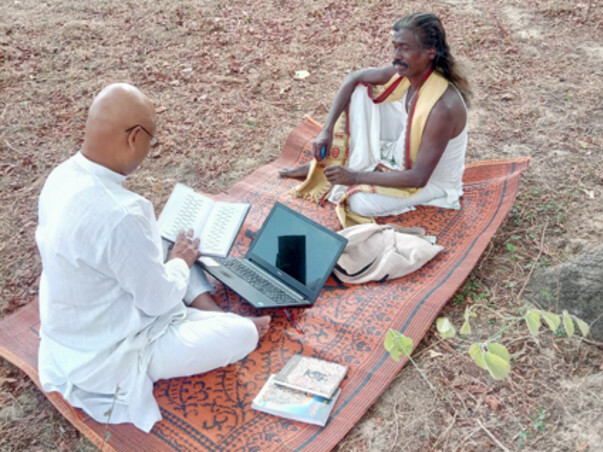 I have promised to Haldhar Nag that profit, if any, will go to him and he has chosen to use it to educate the tribal and poor children of his village and nearby villages. 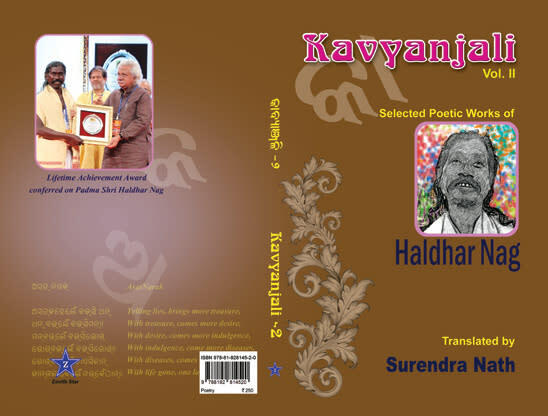 The title of the book will be ‘Kavyanjali (Vol. 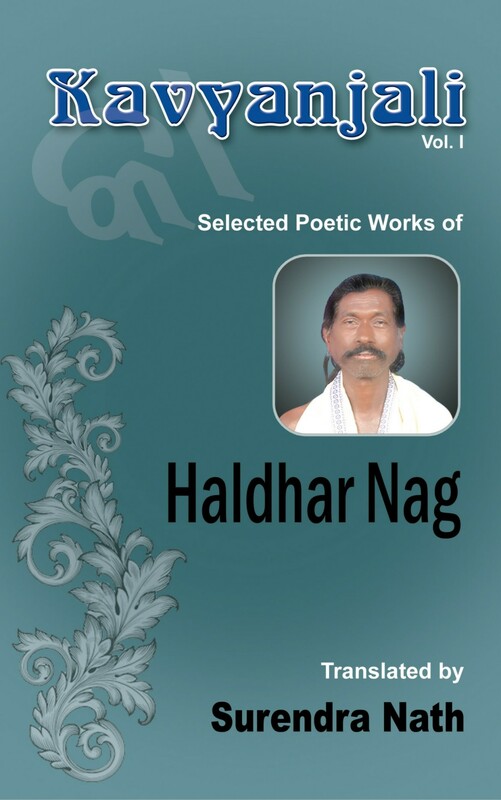 I): Selected Poetic Works of Haldhar Nag. Translated by Surendra Nath. 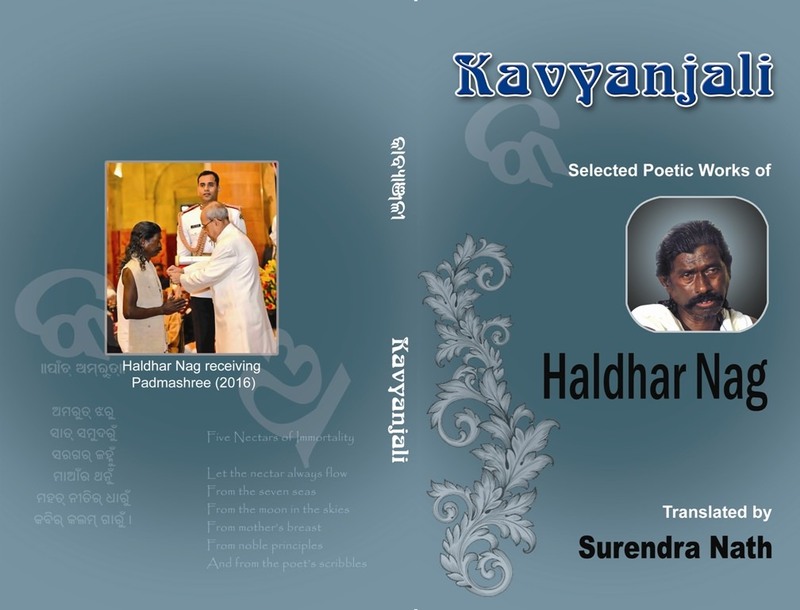 It will contain both – poems in Koshali and their translations in English. After completing the translation, I shall get the cover design, page setting and publishing done professionally and artistically. I plan to print 1000 copies, in the first instance. Any shortfall in the funding will be covered by me, and if at all there is an excess it will go towards launch/release of the book with media coverage. This is a transparent and clean project. We are fine if you support even with Rs. 500/- only. You buy buy the books (Kavyanjali Vol.1 and Vol. 2), which are on sale on Amazon. Any money received will go towards furthering the project. Without providing financial help, you may also join us to spread the word about this project. Kavyanjali Vol 2 is ready for publication and launch. Here's the first look of the cover (front and back). It is the same lines as Vol 1, with a different colour scheme. Book launch is scheduled for October 2018. We'll provide the details of venue and date soon. Soon there'll be more good news to come. Work is in full tempo for Kavyanjali Vol 3. We depend on all supporters & Milaap for the progress of such literary works. Thank you everyone. You must be aware that 'Kavyanjali Vol. 1' was published successfully on 02 October 2016, due to your support. I wish to share with you the good news that 'Kavyanjali Vol. 2' will be published on 02 Oct. 2018. This is for your information only, and not a request for further donation. 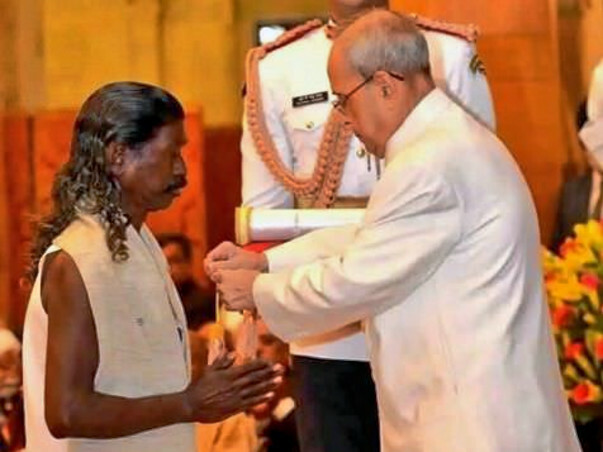 Padma Shri Haldhar Nag sends you his gratitude and good wishes. You’ve almost made it. Kavyanjali is going to get published. Here’s the progress on Kavyanjali, the book. Translation of the first volume is complete, and the first round of editing is progress. 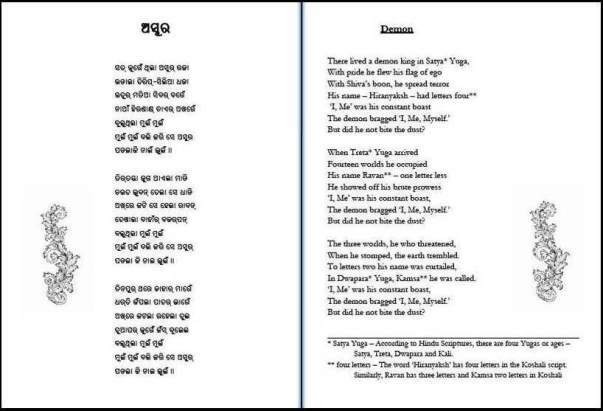 While I am editing the English script, my team mates, including Mr, Haldhar Nag, are doing the same for the Odia script. The cover design has been finalized, thanks to inputs and suggestions from a few donors (Basanta, Anuup and a couple of others). The pages of the book will be set up professionally and in a unique manner. Every odd numbered page will have the Koshali poem stanzas and the facing even numbered page will their corresponding stanzas in English. Here is a sample of page setting. Your suggestions are welcome. It’s happening. Please share this cause among your friends.